Our Story. A brief description how a child came up with this idea. Our Manifesto. 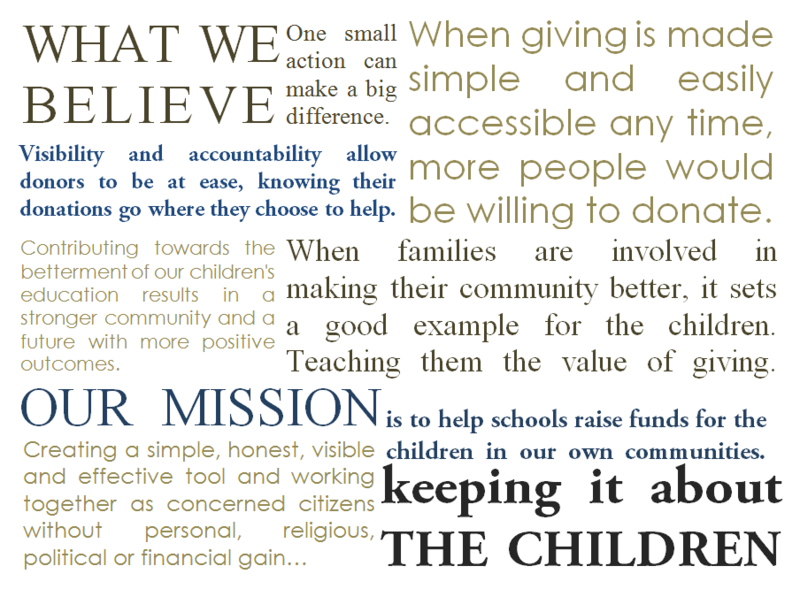 A compilation of our Mission and Beliefs.